It can be found on the right side of the page editor, under the Publish metabox. Note: Not all themes display Page hierarchies by default in the navigation menu. If this is the case with the theme you are using, then you can use the Custom Menus feature to create sub-pages and to customize your navigation menus. Some themes have additional templates that you can use to create pages with additional features or custom layouts. You can see if your current theme has any additional templates by checking the Template section of the Page Attributes metaboxes. The most common templates are for archives, links, and contact pages. 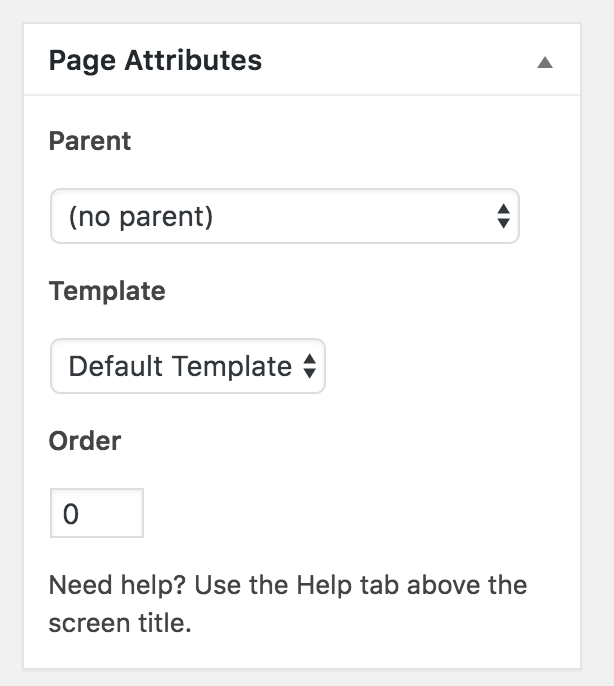 You can change the order that your pages are displayed in by using the Order field of the Page Attributes metabox. Locate the Page Attributes metabox to the right of the editor. Put the number 1 in the box for Order. This tells WordPress to display this page first on your blog.